Our friends at Gizmodo have the details on yet another random act of Steve. 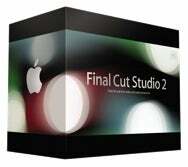 It seems an up-and-coming filmmaker, who happens to be a high school student, wanted to get his hands on Final Cut Studio 2. Since he is a student he was hoping to get it at the educ ational price (which knocks a cool $600 off the pricetag, but doesn’t include upgrades to the next release). He was crushed to find out that Apple only extends that discount to students, faculty, and staff of higher education institutions. What is a poor high school kid to do? Well, when in doubt: email Steve Jobs. The student asked Steve if they could make a one-time exception to the educational pricing and let him purchase Final Cut Studio 2 for $700, since it would run so well on his 8-core Mac Pro. But Steve was in a magnanimous mood, and he forwarded the high-schooler’s email to Richard Townhill, Director of Pro Video Product Marketing, who emailed the kid back asking for his address. Why did Apple need this kid’s address? Why, to ship him a free copy of Final Cut Studio 2, of course! Now that’s what I call marketing.